YOUR DECISION CAN TRANSFORM THEIR WORK LIFE. Help them do the best they can. There's a KIMBERLY-CLARK PROFESSIONAL* Product that's ideal for the job at hand. Make safety and productivity priorities by choosing Personal Protective Equipment (PPE) that allows for comfort and freedom of movement. 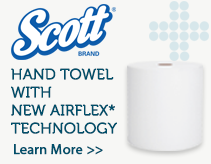 We offer a range of quality KLEENEX® and SCOTT® Toilet Paper products that provide practical and cost effective solutions for any washroom. Soft and absorbent, our SCOTT® Pop Up Napkins deliver quality and help control costs. Promote good hand hygiene with our range of high-quality Skincare products. Help reduce risks of infection with our Instant Hand Sanitisers. If hand hygiene is important to you, then choose Paper Hand Towels. 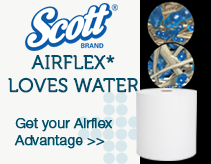 Our KLEENEX® and SCOTT® ranges deliver superior absorbency and strength. Every aspect of your washrooms should reflect the highest quality.  We have accessories to complete the package.